Websites are the most critical part of the marketing strategy for Destination Marketing Organizations (DMOs). However, the way websites are purchased is more similar to publishing a book than part of an agile, integrated marketing strategy. 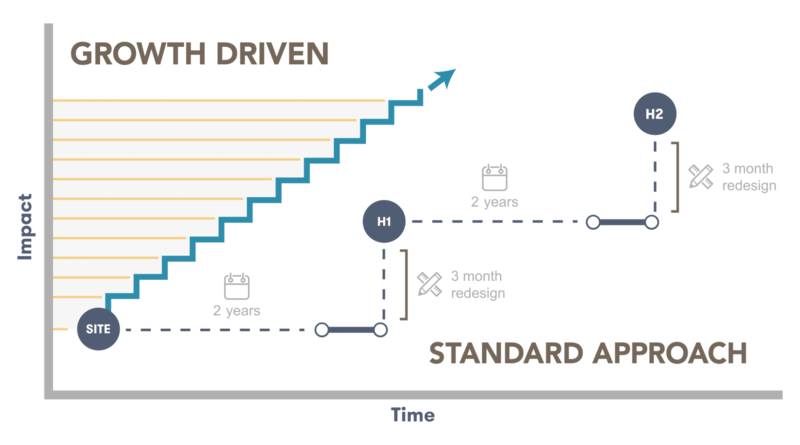 This is why Madden’s Growth-Driven Design (GDD) process is the optimal solution for DMO websites. Traditional website design timelines move too slowly, and clients need a way for their website to quickly and dynamically respond to ever changing marketing needs. This is a key starting point for any website development project. Knowing who your audience is and what they want to do on your website is critical to ensuring that you are maximizing the potential of your most reliable and available marketing resource. By writing down a comprehensive strategy before you write a line of code or make a single graphic, you are building a solid foundation from which your site can grow. Thankfully, you have Madden on your side for this. We’ve been working with all shapes and sizes of DMOs for over three decades, which means we have a great foundation of our own to build on. 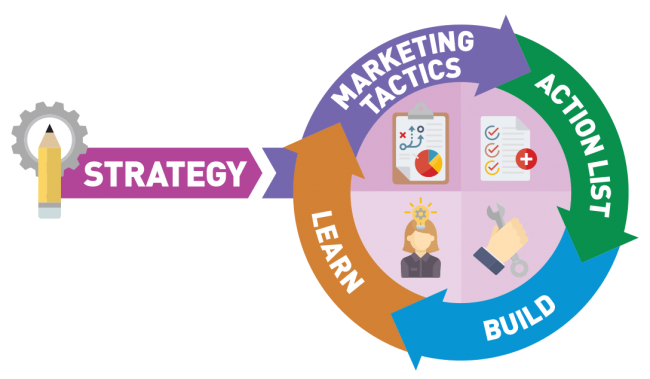 Utilizing our customized strategy worksheet built exclusively for DMOs, we will propose a solid initial strategy that we know will work for you, and then spend time incorporating your knowledge and expertise to create the perfect strategy for you and your website. In traditional website development timelines, the strategy you outline at the start of the build will probably be out-of-date before you even finish the site. But with GDD, we can easily keep up with today’s dynamic and fast-moving marketing and business needs. This is achieved with a website action list and continual improvement. For many DMOs, the number one issue with delivering improved results is the ability to improve their website. We know that you have both small and larger things that need to be done on your website, as well. Through our agile, GDD process, we collect all of those activities, then we prioritize them with you into an action list based on your strategy and marketing needs. As we build the list, we can prioritize everything so that the items that will have the most impact get done first. This is called the 80/20 analysis. Using this model, we can work together to prioritize the 20% of items that will have 80% of the impact for your website users that were identified during the strategy stage. After they are prioritized, we can review the smaller list and break them into “must have” vs “nice to have.” If it’s a nice to have, we can put it back in the list and keep it there as an active item for the future. Then we can tackle the must-haves first and get them out to your site right away. Instead of waiting for your website vendor to make edits, we make them in partnership with you and your marketing plan. Of course, your website action list will change over time as your marketing and business needs evolve. Have a seasonal travel campaign for the nice summer months? That item might not be important in November as opposed to March. With GDD, your list stays flexible, and we can employ continual improvement to get your most important items out to your website when they need to be there. By working in continual two-week sprints, Madden can keep your website aligned with your marketing plan. This helps you see results fast, and allows Madden to measure the progress and success rate of smaller incremental changes to your website. For example – let’s say that your action list includes an item to increase newsletter signups by 20% over six weeks. Madden can work on an implementation strategy to help drive traffic to the sign up page and convert visitors during a single sprint. Then, after the changes are live, we can monitor the progress of the signup KPI, and easily refine the strategy and tactics in subsequent sprints. By continually learning and improving on your action items, Madden ensures that your website is functioning at optimum efficiency for your business and marketing needs at all times.